I got your book on kindle for Christmas and really enjoy the short videos you post on your site. 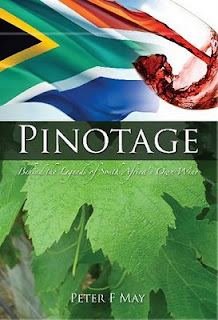 Has been hard to find many varieties of Pinotage here in the USA but my luck seems to be improving. I used to basically only find $9 Kumkani but lately have stumbled across the odd Kanonkop Kadette, Stellenbosch, and even a very odd tasting "coffee pinotage" which I quite disliked at first sip but ended up enjoying by the end of the glass. Keep up the good work! Many thanks for the kind words, Brent. As you have seen I am a very impressed with the 2009 Kanonkop Kadette -- but look out for Kanonkop's awesome 100% Pinotage.